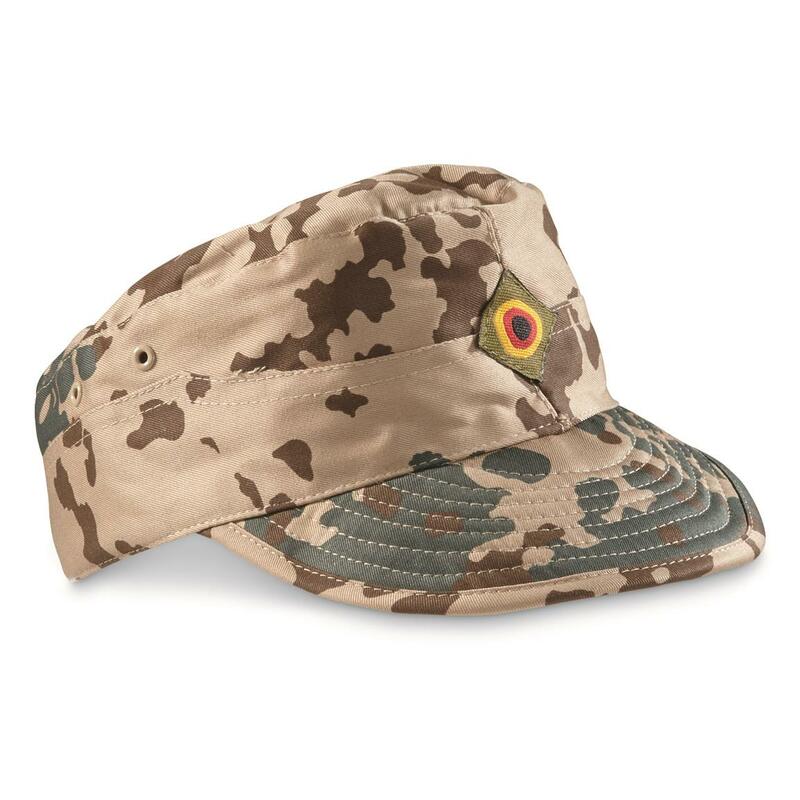 Stay cool, calm and collected on your next warm weather mission with this German Military-style Tropical Camo Field Cap. Made of lightweight 65/35 polyester/cotton for durability and comfort in tropical regions. German Military Style Tropical Camo Field Cap is rated 3.0 out of 5 by 3. Rated 4 out of 5 by DLTMI from Nice replica hat It was well made and looked authentic but made in China. I thought it was an actual military surplus. Very nice quality not the Real McCoy.